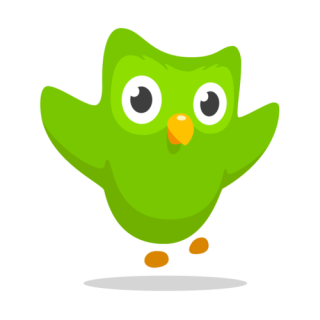 Summer may be coming to an end, but Duolingo goes on. Congrats to this week’s leader: Screechymi! And with zero points: DelfiGax, edithgrove, ItEatsYourBottom, Sa2vador, Prestocaro, ScarlettODahling, boobiechick, CamillaPB23, rainbowbrighteye, Patlisaurus, seekingdesigns, Chimica, Kir138599, itscalledadairy, MCMonkeyBean, rjc_londres, gertbadger, Halfeclipse, HappyGinnyBerry, Georgia2681, FoilyDoily, LanguageSparrow, LilyBombay, strangerbird, YRachel, Iaurhirwen, klewless, Couchplanted, lalorac, CobaltSeaGlass, wheelchairjimmy, slickmillie, Erudita_Vanitas, QuietYouTrash, zhandi1, Antsie, jetpantsplease, NikkiDix, Snax2, Toucanfrog, story645, MadamePL, gurleyens, PolllyJenna, CajunGinger, lurkerbynature, NillaW, yinwhip, lawlover, la_cee, Lexa49, Raineyb1013, Lgemino, DaisyChainLink, NotAnEggplant, GenghisKhant, LadyGrSl, ROCHELLEx2, ShinyRedRobotGT, DomesticDork, hedgehogging, Hooterific, quashit, xeos6, KellyDraper, KDBathroomPass, alaiyokoan, Melidomi, Opalsarebest, LaVieBohemeB, fireheadgirl, HandBanana1, FallingGT, NightmarePizza1, MitsubiShe, McConaissa, Vulpita28, maplesyrup15, Labtheque, piggywillow, kcunningGT, skittish1, la.woman, MaggiePye, sylvescm, totbitchpudding, Woobie1, NotBadfora, Hypotz, SaintRidley, abayaespanol, RicardoAmanueces, ThatCutieCarly, ISpeakJive, Teachertracy23, Lisa.Elizabeth, callshannanigans, ScienceGal01, ScatterOfLight, jet25, exkette, sren2015, Laania42, SmillaQ, Sciatheric, AgadorSpartacus, meimeiann, LttlMsSnshn, FelipePlets, mickimonster, avisatra, rackelroo, ShiksaGoddessGT, rachel.dir, LaChategris, AIHIStatic, namechanged, Luckykittah, BetterLateLirael, Pyrax, WhoWantsTo, YellowBird2, zeusttu, rachclaire, teleute1313, schwiggy, HenriLeChat, and BeakerC. If you have a three-day weekend, this would be a great opportunity to get ahead a bit!